It was Ben that Brown was beefing with. A story came out earlier that said AB was feuding with an unnamed player. And I said I bet it was Ben, Juju, or Haden. If that’s the case what a clown. Low key: Ben has been a crap teammate. High key: Ben is a crap human. Not low key: Brown has been worse. We stayed in base formation in 60% of snaps. Mike Hilton blitzed on 40% of his plays on the field. I’d be backing up a Brinks truck to his front door right now. 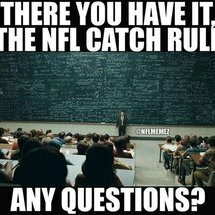 It’s not that I would really defend AB...but Ben throws his name in the media, excuses his own behavior, takes Wednesday off, and has a stupid high “uncatchable ball rate” to Brown this year. We have a story here that Antonio Brown quit on his team in week 17. Not Ben's feelings were hurt and Brown was punished as a result. But that Brown held himself out at least until Sunday and may or may not have expected to play because he feels underappreciated somehow because he only caught 15 TD's and had 1200 something yards this year. He's pouting because they gave Juju the team MVP instead of him. A meaningless in-house award. I don't care what sort of person Ben is. I don't care if he never tips anyone in his life. Some of you a few weeks back were desperately trying to blame him for the team holding him out of a must-win game in the second half, and now you're attacking him because Brown is a headcase (with his own off the field issues, anyway) and literally held himself out of practices and missed a game he could have played in. Not at all. Just saying the guy that's at the center of the issue (Ben) hasn't exactly been an angel. **** I would have snapped much sooner being thrown under the bus that much. Everyone hold your breath! Secrets are coming out!!! This one is a dinner party for 2.
Who's attacking him? lol. He's spent the entire season throwing Brown under the bus. If and this is a big if, the Pittsburgh Steelers decide to trade for Chris Harris which I would think would be freaking amazing what would it cost us? A second question is do you think it's possible that we both trade for Chris Harris and sign Deone Buchanan in free agency? Hypothetically let's say we do both he and we hire Vance Joseph as our defensive coordinator. Is there anyone here that would not have an absolutely ecstatic feeling going into next season? anyone that has followed this team would have every reason NOT to be ecstatic at all heading into a season with this regime. Constant fails vs bad teams, excuses, bad leaders, ben throwing teammates under the bus etc. I never ends with this team, so why would anyone be ecstatic. OK, perhaps 2 roster spots would be addressed, but count on colbert to waste or ruin a few others .